Cover of issue 2 of Acrylic Daze fanzine. Included was a legendary review of Buzzcocks at the Band on the Wall from 1977, when Howard Devoto rejoined them on stage for an encore and Jon the Postman first got up on stage. 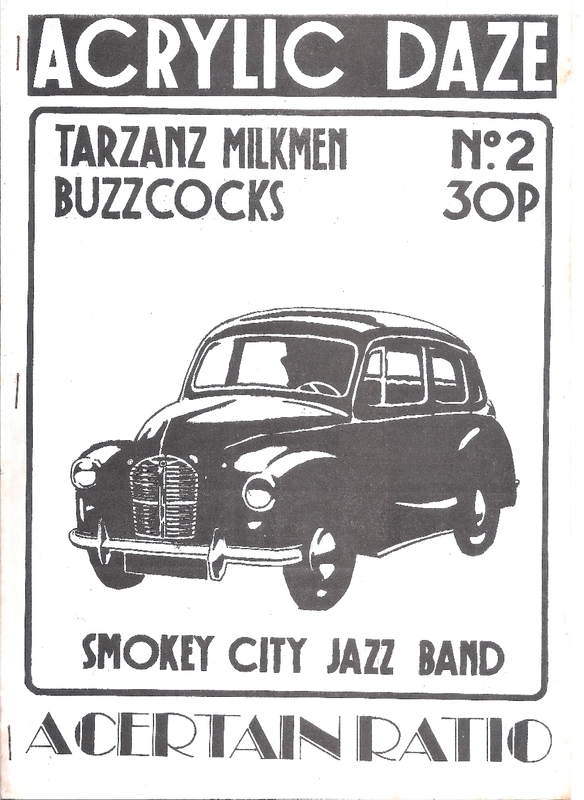 Also featured were A Certain Ratio, Tarzanz Milkmen and Smokey City Jazz Band from nearby Wilmslow.